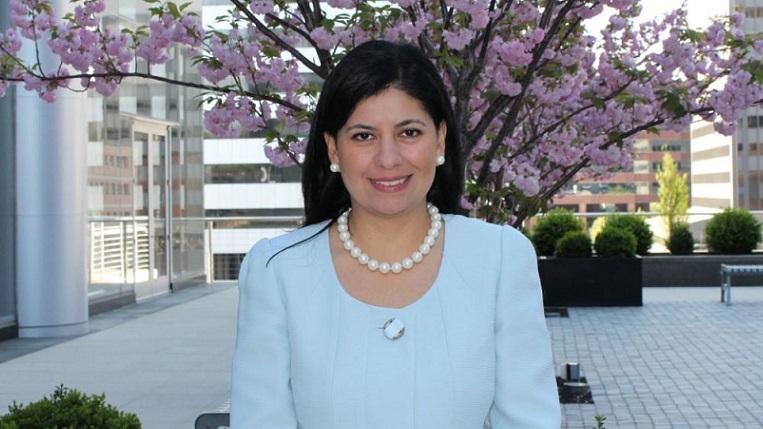 Marcela is now Senior Vice President and Chief Communications Officer at Centene. Andrea tells UMSL Daily how her time at UMSL helps her manage work, law school and the National Guard. Place to get peer tutoring, work together, and just hang out! 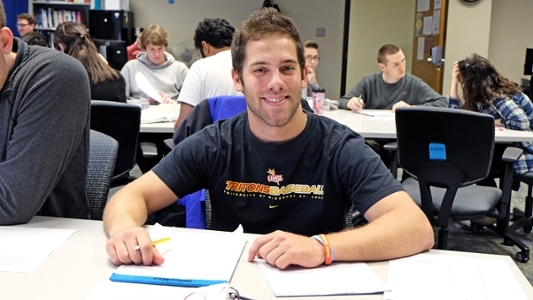 At UMSL's Department of Economics, you'll find strong student-faculty relationships, peer mentoring, attentive advisers, and coursework that gets you where you want to be. Our students acquire knowledge and a versatile set of skills that are highly valued in the workplace, as evidenced by the strong placements of our graduates. 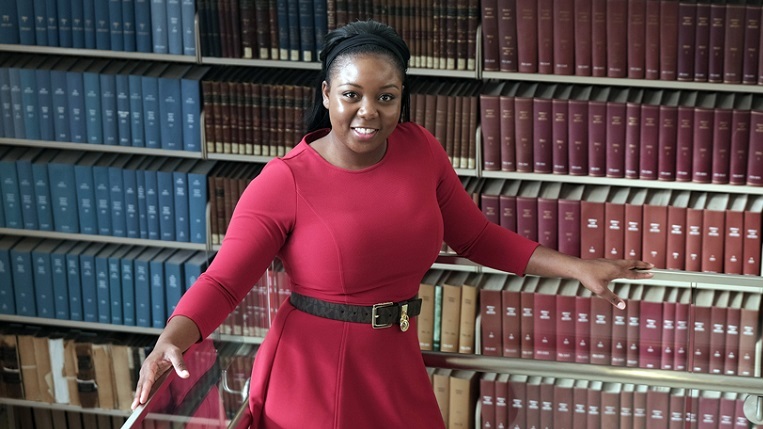 Undergraduates may earn a BA in Economics, a BS in Economics (more quantitative), as well as earn additional distinction with a Certificate in Applied Econometrics and Data Analysis. The department also offers an MA in Economics and a very popular dual BS/MA program. The BS and MA programs are designated as STEM programs (see below). And UMSL Economics is part of the brand new BS Actuarial Science Degree program. 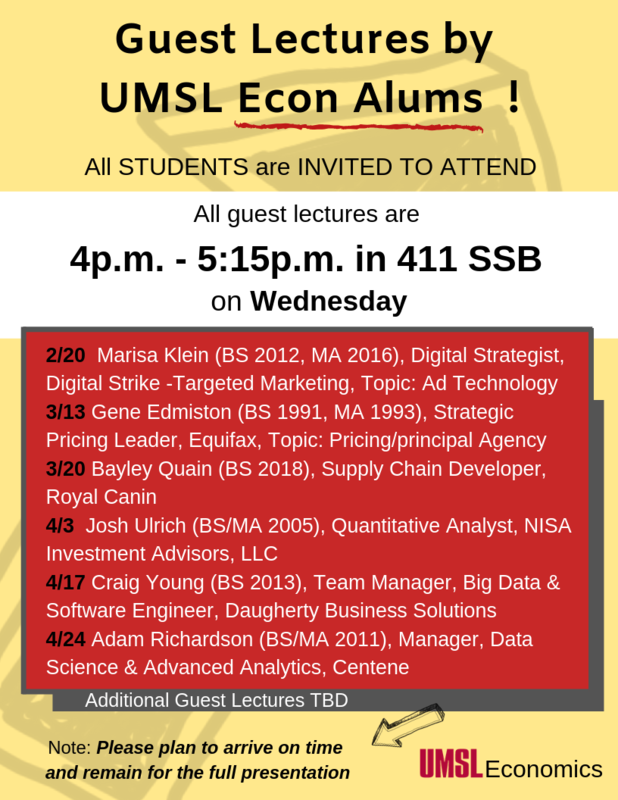 A unique feature of our department is the opportunity to take a large number of courses in applied economics and data analysis, leading to our department's informal motto, Think Data, Think UMSL Economics! I encourage you to explore our website to learn more about our full academic offerings and then visit us in person at the department's main office (408 SSB) or stop by the Economics Resource Center (452 SSB) to meet current students. 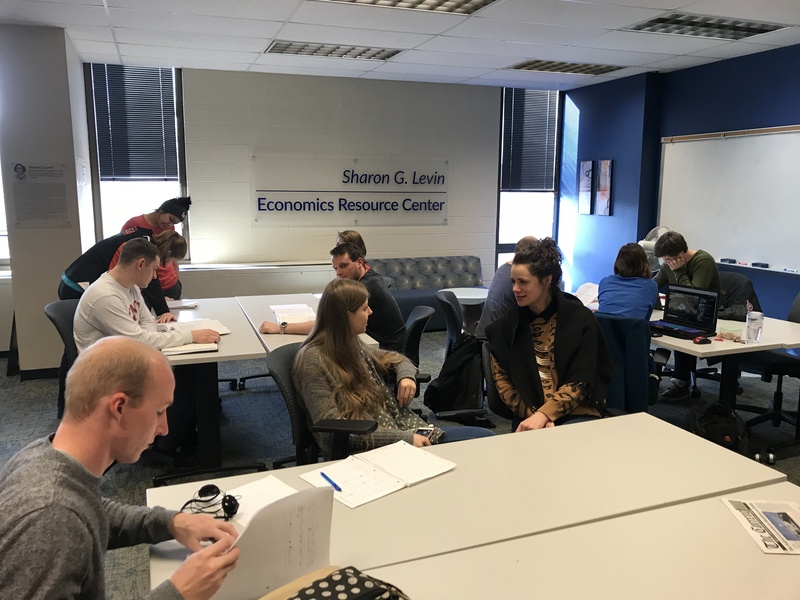 ERC renamed as Sharon G. Levin ERC!